As is our custom whenever visiting Ottawa, the wife and I chose to stop by the Manx Pub this year in order to sample from their vast array of taps. In addition to their fine food (I still think they make the best burger in town), the Manx has always been known to host a vast array of local craft breweries. And this year, I managed to find a whole slew of new beers to choose from. I tell ya, its not easy fitting five pints into one evening, but somehow I managed! An old friend from high school recommended I try this one (hi Chris! ), not that I needed much encouragement. 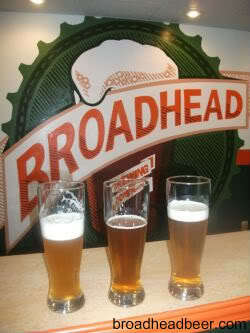 Since arriving in Ottawa this year, Broadhead was a label that kept popping up whenever I went to a bar or to the LCBO. So naturally I was eager to try it and see what the hubbub was all about. I started with their Maddog IPA, which was a fitting example of a India Pale Ale brewed and fashioned by the good people of the Valley. In addition to a good amber hue, a nose rich in malts and hops, the flavor was both refreshing and clean while still malty and varied in terms of hop bitterness. An all around mouth-pleaser! Next up was my latest sampling from the venerable Muskoka brewery. During our last visit, I was pretty blown away by their Dark Ale – a smooth, rich and chocolatey take on an English brown. So I was naturally interested to see what they did with this seasonal installment. As the first in an emerging lineup of limited run beers, this beer is a strong twist on a Fall Harvest Ale, being dark in colour, dry-hopped, and weighing in at a respectable 7% alc/vol. This proved a bit much for me, as the beer was quite bitter and had notes of espresso and smoke on top of its already noticeable hop bitterness. Not a bad beer by any means, and certainly not a bad start to their limited runs, but it did prove a little out of character to me. Now this beer proved to be one of two that I managed to sample from this brewery while in Ottawa. 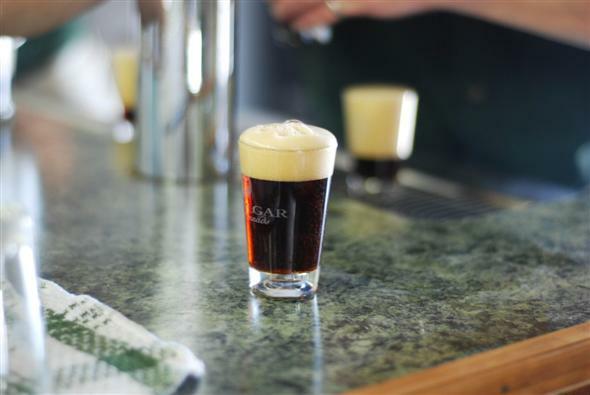 And in both cases, they were indicative of the experimental spirit that so clearly characterizes the brewery. In all cases, they appear to be about marrying disparate flavors and traditions, not unlike BC’s own Parallel 49. 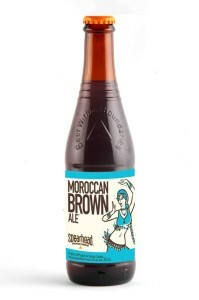 Basically, it is a brew that merges the spirit of the Maghreb to the style of an English brown ale. And the results are quite pleasing and appetizing, bringing together dark brown malt, subtle dried fruits (raisins, figs, dates) and a mild spice palate. It also weighs in at a slightly stronger than usual 6% alc/vol, and is highly refreshing in addition to being rather sweet and tasty. These next two samples come from one of Ottawa’s newest breweries, the Beyond The Pale operation that I was surprised to learn about. After many years of starts and stops, it now seems that Ottawa is exploding on the craft brewing scene. And from what I’ve seen from their website, it looks like they are off to a very good start with their product lineup. 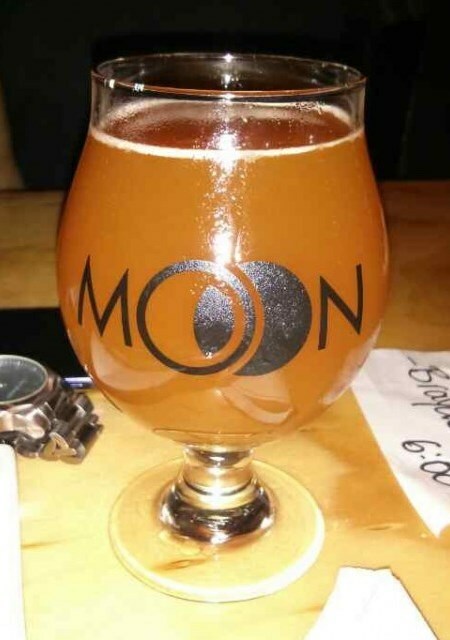 As for this beer, it was a very nice introduction to what they have to offer. And as their name suggests, they are committed to making beers that go beyond your basic pale ales and into the realm of the experimental. 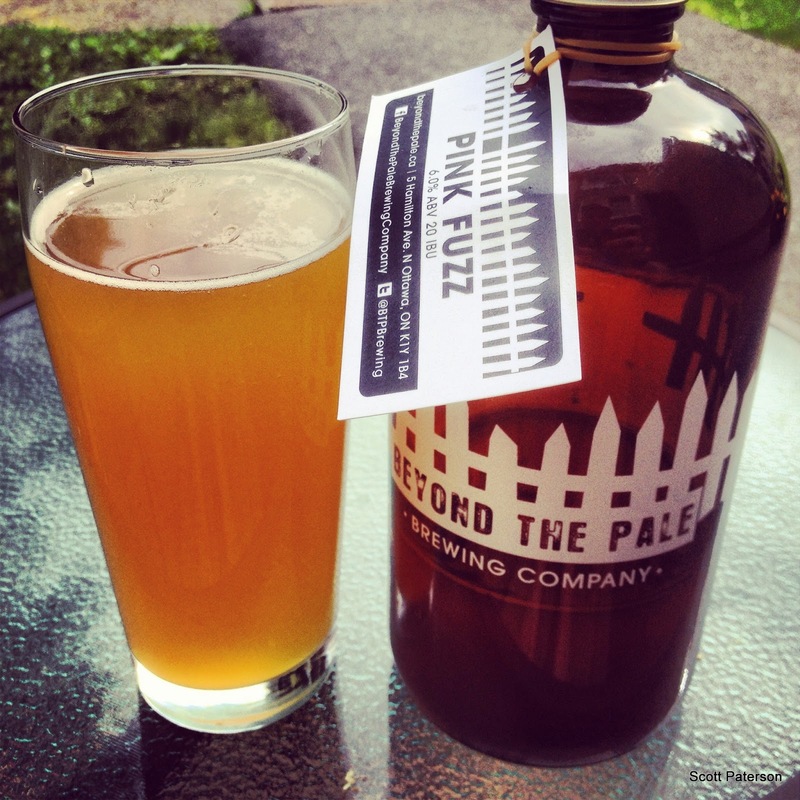 Nowhere is this more clear than with their grapefruit wheat, a slight twist on a traditional hefeweizen. Light gold in color, it has a gentle wheat malt nose that is imbued with citrus fruit, and has a flavor to match. Overall, it is very light and refreshing, but of course possesses a strong citrus tang that is a great accompaniment to lighter dishes. This second sampling was better than the first. As the breweries take on a traditional oatmeal stout, this beer manages to bring all that’s right about this classic British style into good balance. 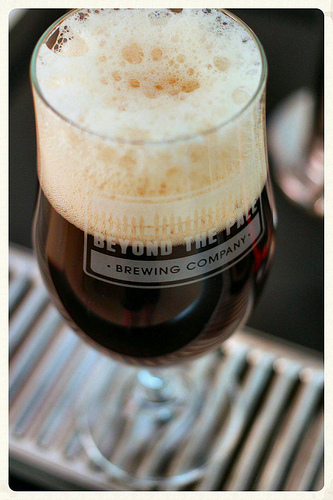 In addition to being pitch black and opaque, the nose boasts plenty of coffee and dark roasted malts and bitter hops. This carries through into the flavor department, being at once smooth, smokey, creamy and malty, and complexly bitter. It then rounds everything out with a flavorful but relatively clean finish, which is surprising with an oatmeal stout. While not one of their more experimental brews, it was certainly a fitting example of what they can do. Not a bad intro to Beyond The Pale, I must say! And that’s all I managed to sample on that particular outing. More are coming, as the wife and I were sure to visiting other favorite haunts (such as Pub Italia) and managed to do some sampling on our own between lengthy walks through my old hometown. Stay tuned! As promised, I am back from the east with plenty of beers to rave about! Much like last trip, and the one before that, ad infinitum… I managed to secure some beers from several new breweries, seasonals, and special releases that can only be found in the nation’s capitol. Whether it was on tap, in a can, or a bottle, and found at the local LCBO, bar, or bistro, I had a number of great drinking experiences this trip. And what better place to start than with the latest from Beau’s All Natural Brewing and the Creemore Brewery? Back in 2012, I saw Beau’s long-necked beers at an Ottawa LCBO, and for some reason didn’t buy one. Perhaps my cart was overloaded, who knows? Luckily, I rectified my mistake this year and promptly picked up a bottle of their seasonal Marzen Oktoberfest. And I was quite pleased, though admittedly I am a fan of this seasonal lager. Compared to your average lager, Marzens are often darker and orange in hue, a heavier, maltier body, and a crisp finish. However, the Beau’s manages to adds to that with a relatively good dose of hops which yield a more bitter, complex and even lemony flavor than I was expecting. This is all complimented by a good, clean finish that manages to round things out. Not your light lager by any means, but a pleaser as far as I am concerned! Creemore is without a doubt one of my favorite microbreweries in Ontario. Not only are they the purveyor of one of my favorite beers of all time – Creemore Urbock, one of the finest bocks ever made – I also consider their Pilsner, Lager and Kellerbier to be exceptional. 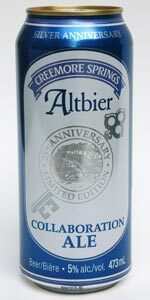 So it was exciting to see that they had produced a collaboration ale that honors the venerable German style known as altbier – “old beer”, which refers to the pre-lager days when German brewers made ales. Produced in conjunction with the brewers at Zum Schlüssel in Dusseldorf, an historic brewery specializing in alts, this beer was released for their 25th anniversary and is now back by popular demand. And much like their other beers, it was very subtle, clean, and highly refreshing. Hi folks! As it is time for the ife and I to do our biannual trip to my old hometown of Ottawa, Ontario, I will be offline for a few days. However, I expect to return to this site in a week’s time with plenty of new reviews since we’ll be visiting several old haunts and new while we’re there. These will include the Clocktower Brewhouse, an old favorite of mine which has expanded since I left; the Beyond The Pale Brewery, another brewpub operation that has several locations across town; and of course, the Mill Street Brewpub and Vineyards Bistro, two old favorites I would like to find myself in again. 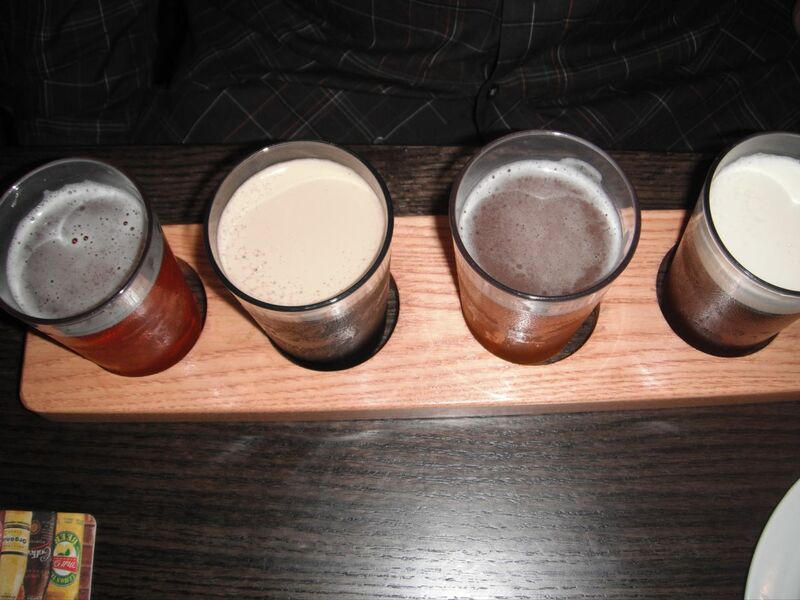 And of course, I will be sure to sample the latest from Ontario’s craft brewers of late. These include just about anything from the Wellington Brewery, the Trafalgar Brewery, the McAuslan Brewery, the Muskoka Brewery, and Creemore Springs. And given our proximity to Quebec, I’m sure I’ll be dipping into anything from La Brasseurs Du Temps, Dieu Du Ciel, and Unibroue as well! Have yourselves a great post-Thankgiving weekend and get out to enjoy this fall weather as much as possible. And see you all when I get back! In truth, I’ve been laid out these last few weeks with the flu, and this has effected my ability to sample beer. Luckily, I’ve been backlogged with a number of samples that I tried back in September, and just needed to provide a complete write up on. Two such samples were part of my ongoing campaign to drink all the beer that’s been coming up from the south of late. This time out, both come from the great state of Washington! 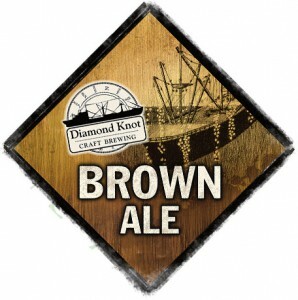 This is my second sampling from the Diamond Knot brewery. And much like the first, I was not terribly impressed with it. While it is certainly an inoffensive and decent enough American-style brown ale, it was a little on the light side, and had a rather strange flavor profile. This became evident with the smell first, which consisted of nicely toasted malts, a hint of sweetness, and then a strange herbal aroma that put me in mind of Jagermeister. And then the taste, which was lacking in the dark malt flavor department and instead was slightly sour, tangy, and quite light. Only in the aftertaste did I detect the telltale signs of chocolate and coffee that are common to this variety. And by then, I had lost a lot of interest. 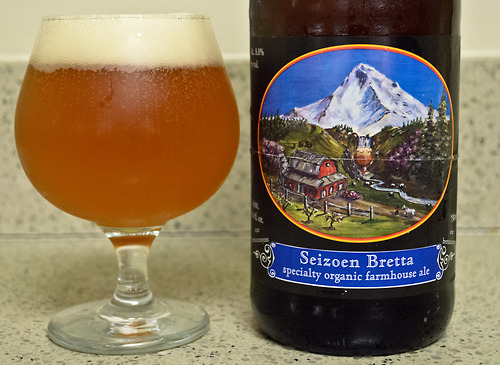 This second installment from the Skagit River brewery did better. 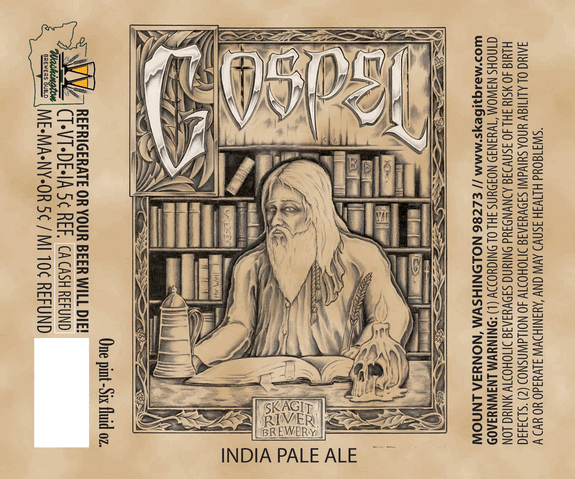 As a special release IPA, the Gospel is certainly comparable to the Scullers, in that it boasts a good mix of strong malts, a highly respectable dose of floral, citrusy hops and weights in at a respectable 7.4% alc/vol (just slightly stronger than the Sculler). However, I marked it down slightly from its predecessor in that the hop bite tends to obscure the malts when you taste it. While you can certainly smell a good, syrupy malt base in this beer, its really not discernible on the tongue. What’s more, the hop bitterness can be a little too much all the way through. Citrus fruit is appealing, but citrus rind? Not so much.